As 2019 is right around the corner, that means that the 2019 vehicle models are being released and are available to you at your local dealerships. 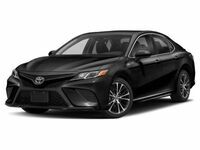 If you have been a fan of the Toyota Camry, you will be pleased to know that the 2019 model is now available for purchase at Toyota of Hattiesburg. The 2019 Camry is equipped with a 2.5L 4-Cylinder engine that provides drivers with 203 horsepower and 184 lb-ft of torque. Along with the power that the Camry packs, it still keeps its great fuel economy of 29 city and 41 highway mpg. Shoppers will be happy to find that the 2019 Camry is offered in 13 different exterior colors and 10 different trim levels. With all of these options, drivers are sure to find a model that fits their needs and style. 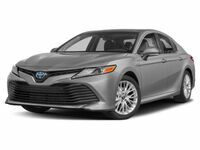 Continue reading to learn more about some of the 2019 Toyota Camry highlights or click on the button below to view our current Toyota Camry inventory! As we mentioned above, the 2019 Camry is available in ten different trims – XSE V6, L, LE, XLE, XLE V6, SE, XSE, Hybrid LE, Hybrid SE and Hybrid XLE. Each trim level has a different list of features that they include. The XSE and SE models also have unique catamaran-inspired accents and a black sport mesh grille to give them a distinct look. Drivers can easily connect their compatible smartphone with the standard Apple CarPlay® compatibility. While your phone is connected, you can get directions, make calls, send and receive messages, listen to your playlists and more all while staying focused on the road ahead. Another feature that comes standard on all new Toyota vehicles is the Toyota Safety Sense™ P safety package. This safety suite includes features such as the Pre-Collision System with Pedestrian Detection, Dynamic Radar Cruise Control and more. Click on the button below to learn more about the 2019 Toyota Camry!